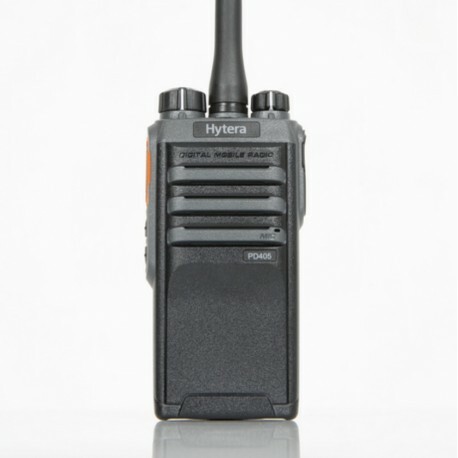 With its embedded digital technology Hytera PD408 produces outstanding voice quality even in noisy environments and at the outer perimeter of radio coverage. Thanks to the TDMA method, Hytera PD408 makes it possible to configure the available bandwidth with double the channel capacity of conventional analog radio. This has a clear mitigating effect on increasing spectrum scarcity. This function ensures that Hytera PD408 can detect analog and digital signals and change automatically to the relevant operating mode. 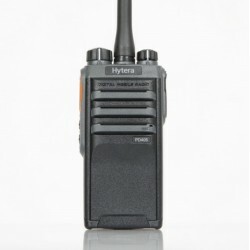 Hytera PD408 handheld radio is dust and water-resistant according to IP55, and meets the US military standard MIL-STD-810 C/D/E/F/G.